I haven’t had time to respond to respond to comments from yesterday, but some of you made me laugh! Where ARE those triangles? They aren’t here! Nope, not a one. They are for another quilt. Not sure how I will arrange them yet. 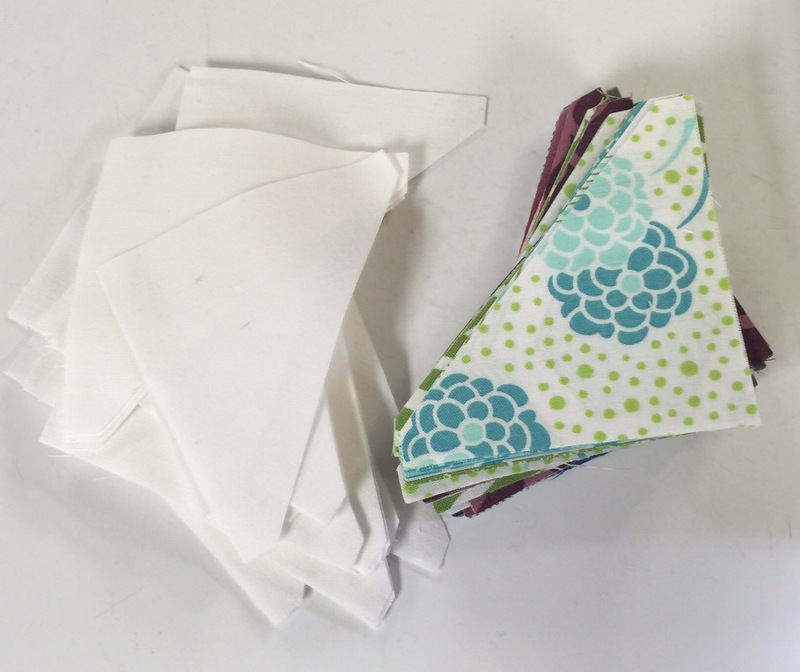 But eventually, these will become part of a baby quilt. Hopefully, I will have time later this week to work on these. 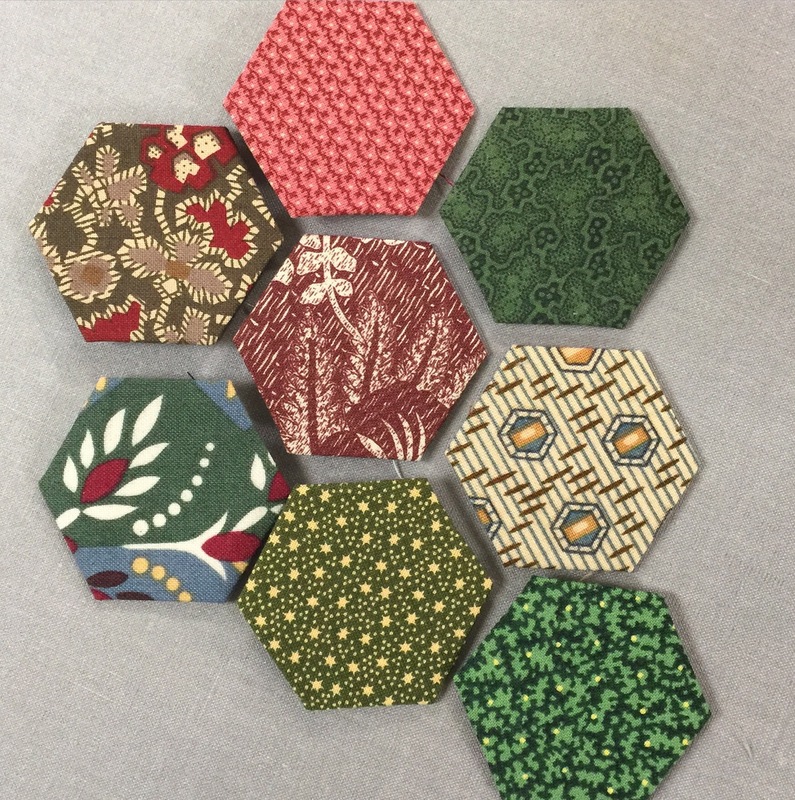 In other news, I have prepared the last of the hexies that I need for Brinton Hall. I am getting close to the border stage! I guess he feels cold……and naked. Yes, I know I have three enamel tables already. One has a machine on it where I do all my piecing, one holds my die cutter, and the third is employed as my desk. For as big as my sewing room is, my cutting table is my only free work space so I am constantly shifting things from place to place. So I have been looking for another of these tables. I wanted it to have wooden legs, not the commonly found metal legs, and it had to have leaves that worked well. In the picture above you can see the front leaf is pulled out. I really wanted one with red trim. But I might go back for this. Decisions, decisions. Your dog looks like my dog’s brother. Actually, he just looks like my dog. 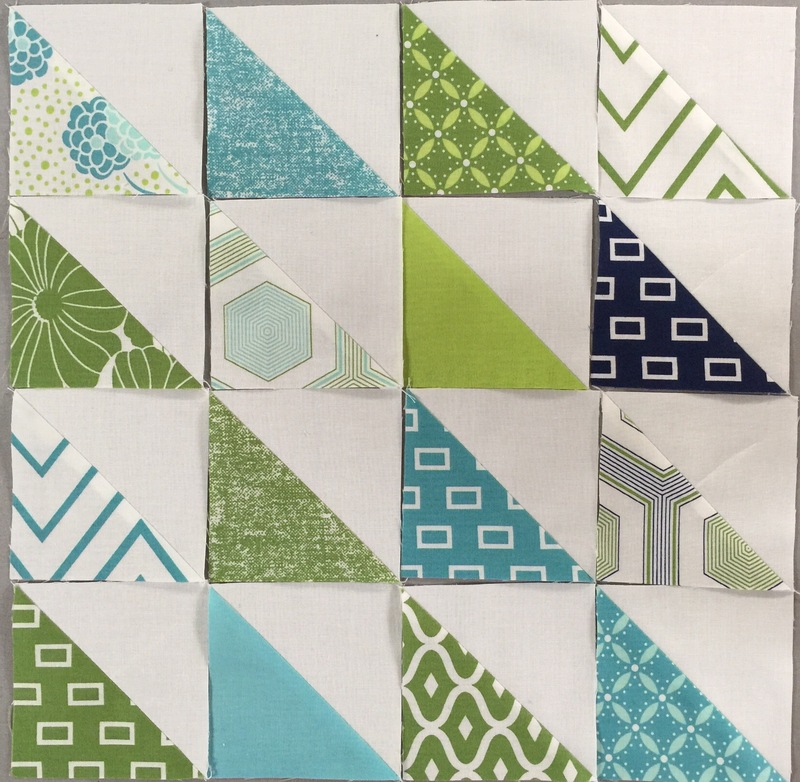 I love the hexies and the HSTs. I love the four-patches ! Lovely quilt! Did you get the table? Maybe you can repaint it? 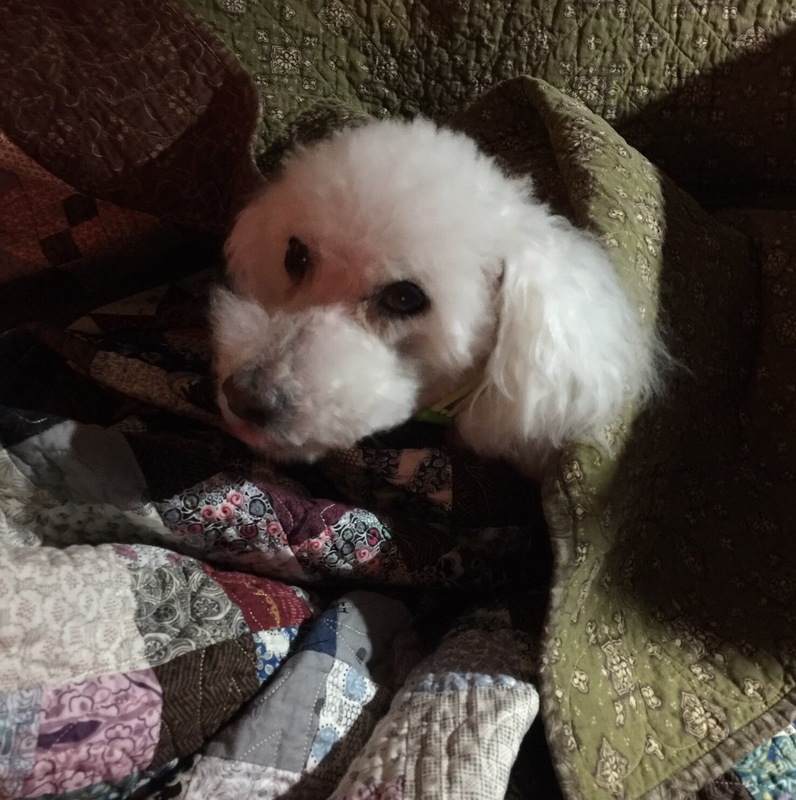 Love the picture of your dog using your quilt. 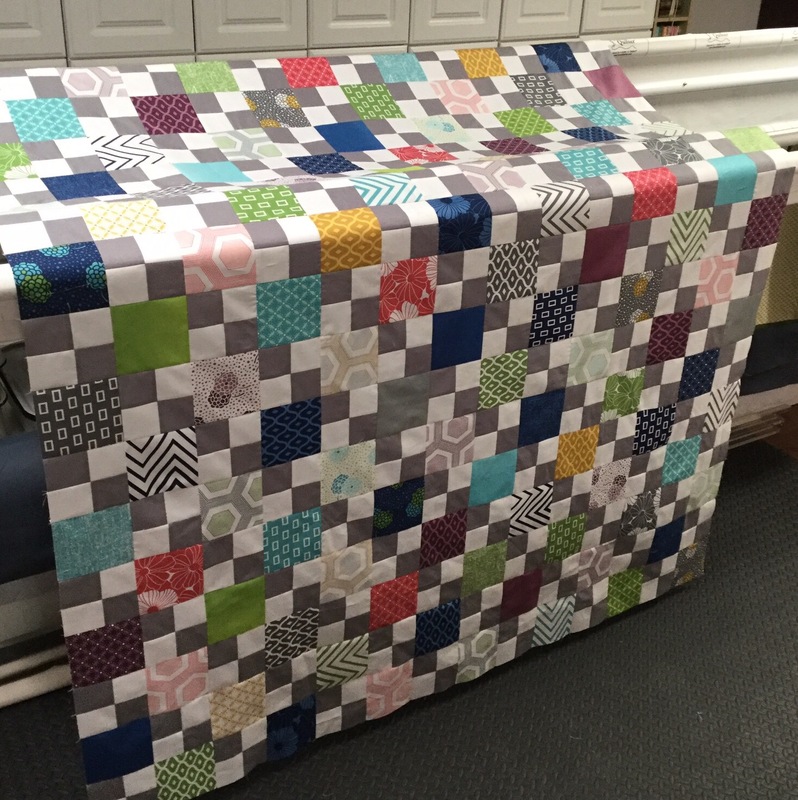 I love the gray and white four patches in the top quilt. I never would have thought to use gray but it’s perfect and gives the eye a place to rest. I also find the colors to be darling in the baby quilt but my favorite by far are the colors and designs in your hexies. I love this quilt, in all it’s simplicity! I’m going to bookmark this page so I can come back and look at it again. I’d go back for that table if I was you! 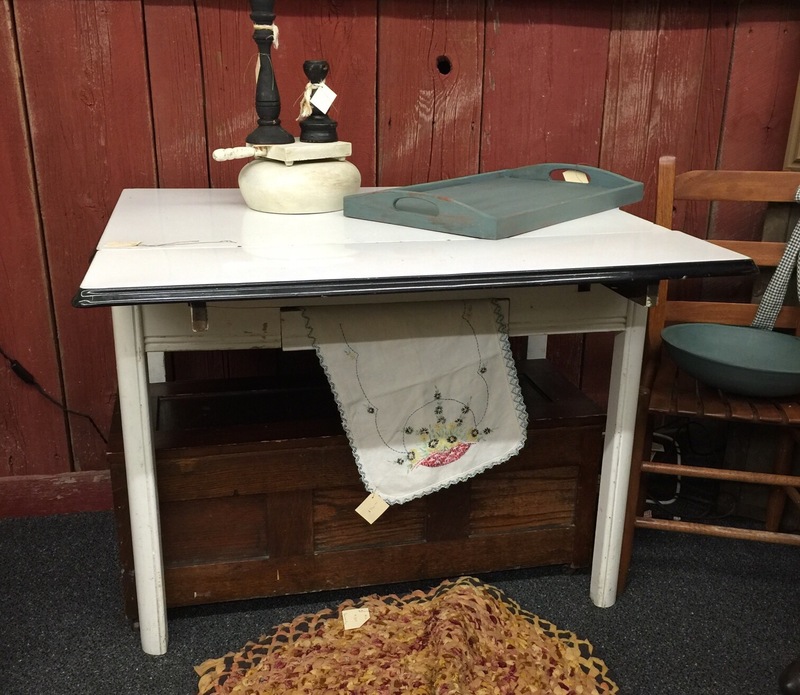 I love enameled tables! Beautiful quilt and you didn’t buy that table?????? How neat! I bet you end up going back and getting it LOL!